Roulette is a game of chance and luck as it is not possible to predict the outcome of the wheel and ball. This is a simple game to play with plenty of betting opportunities. Canadian online casino players are able to play this game online from the comfort of their home. Roulette has three main variations to choose from, which are European, American and French. The first of these is European roulette that has a lower house edge because it only has a single 0, whereas American roulette has a single 0 and a double 00, which then raises the house edge. The last version of roulette that is quite common is French roulette. 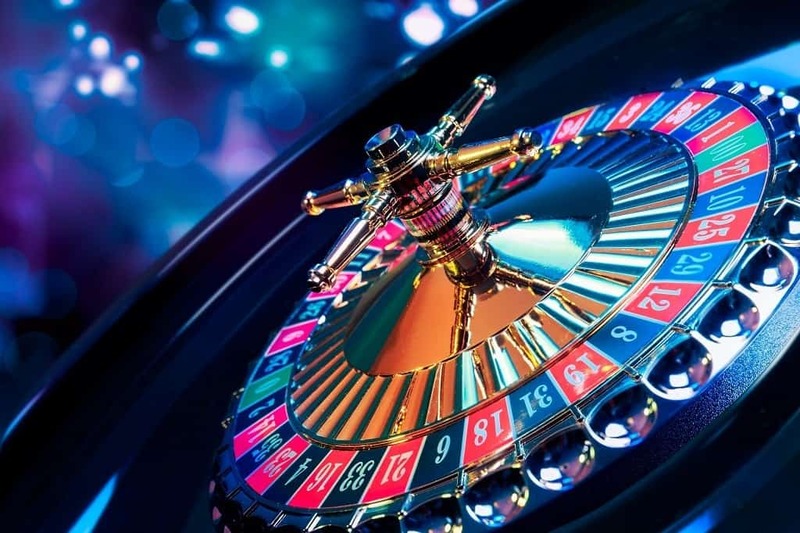 This is similar to European roulette as it also only features the single 0, but the bets are different and there is an extra side bet, which is called La Partage. This means that on even money bets, you will receive half your original bet back if the ball lands on the 0. Roulette is one of the simplest games to learn. The bets can feel overwhelming at first, but once you learn these, you will be playing with the best of them. Playing online roulette means, you will be playing against computer software, so your interface is digital. You will have a digital table displayed in front of you with a virtual wheel. Your bets are placed with virtual chips and you will need to click the amount that you want to place and put it on the layout in the betting space, you have chosen. Like we have said, there are a number of different bets you can make. You can bet on odd or even numbers, black or red, a group of numbers, just one number and other areas. Once you have made the bet, you can spin the roulette wheel and once it stops, the result will be shown. With online roulette, you will also see useful information like hot and cold numbers and past results. When playing online roulette there are a few simple tips that you can employ to get the most out of your roulette experience. Firstly, don’t just jump into playing online roulette for real money. You need to practice and see how the game works, learn the bets you can make and what works best for you. Online casinos usually allow you to play games for free in a demo mode first, so you should definitely take advantage of this. When you are ready to start playing for real money, you should start by betting small as this allows you to risk less and play for longer with the money you have. A table with a low minimum and a high maximum gives you the chance to build your bets up if you want to. There are outside and inside bets, but the outside bets are good bets to make if you are new to the game. Outside bets are also called even money bets and have a lower payout, but you are more likely to win from one of these bets. You can play roulette online at casinos or you can play on the go with mobile casinos. Mobile roulette games look amazing and play extremely well. You will find a number of mobile casinos that are compatible on different devices and offer roulette. You can play mobile roulette on iOS, Android, Windows and Blackberry devices. Mobile roulette looks like the desktop versions but has been optimized for smaller screens. The wheel is clear and bets are made easily through the touch screen interface. Roulette can also be played with real dealers at a live casino. Live roulette games are streamed to your device in real-time and use multiple camera angles, so you can follow all the action. You will usually first see the table, so you can place bets and once the ball is spun, you will be able to view a close up of the wheel and follow the ball until it lands.